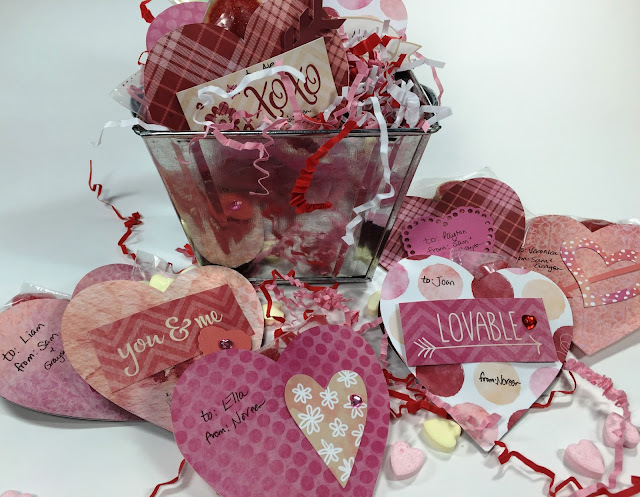 Welcome to the last stop today on our Valentine's Blog Hop! You've probably arrived here from Fran's blog, and at the end of my post I'll send you back to the Creative Memories Blog where you can leave a comment and have a chance to win a great prize! I hope you've had fun and have been getting lots of great ideas from all the CM Content Contributors! 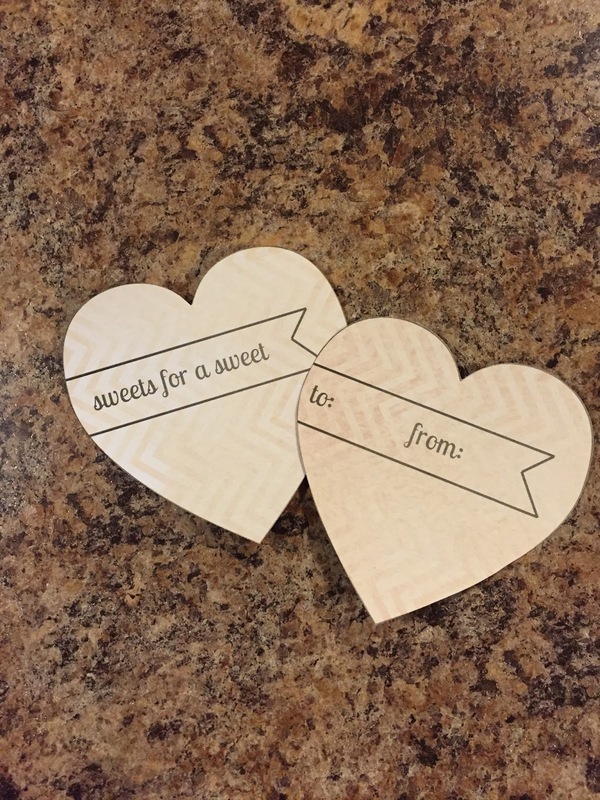 Today I've got a fun little project you can give your favorite Valentine. 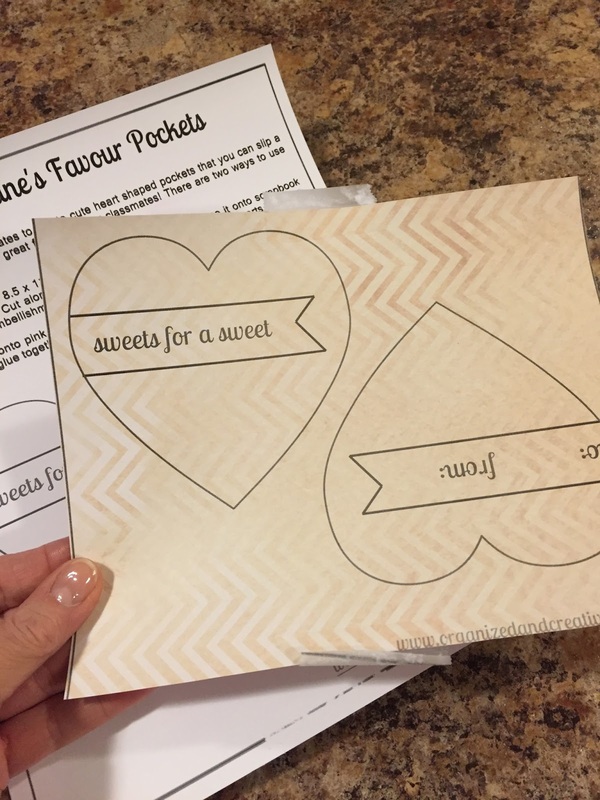 These Heart Pockets are perfect size to slip a treat or a gift card into, and if you make enough, they would be darling class Valentines for your kids to share! They are easy and inexpensive...you'll just need solid and/or patterned paper, adhesive, some stickers or embellishments and, of course, treats! 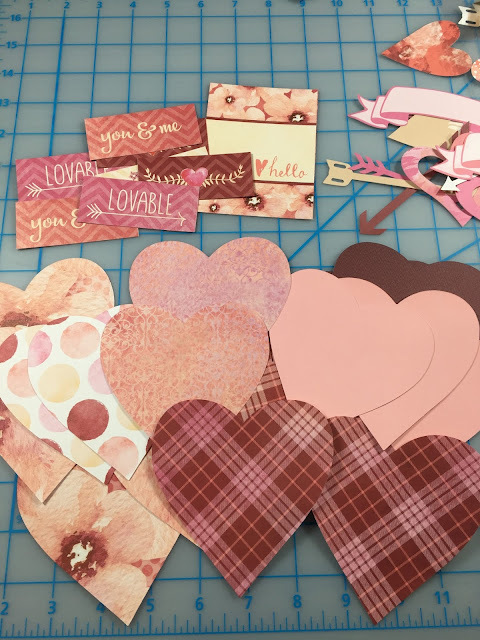 Like the other Content Contributors, I am using the Watercolor Love Paper Pack and Embellishments...and believe me, I LOVE this collection so much I plan on using every little scrap of it somehow! The other thing you'll need is a way to cut a bunch of hearts. You could use a Cricut, Silhouette, Cuttlebug or other die cutting machine, or CM's Custom Cutting System (with the old heart template if you are lucky enough to have it!) If you don't have access to any of those, you could simply trace a template and cut out your hearts with scissors. Cookie cutters make great tracers, or you can download this FREE template that I've made just for you! The template has two hearts with little sayings already printed on them, so you can use them as-is or cut out one and then use it as a tracer on some printed scrapbook paper. 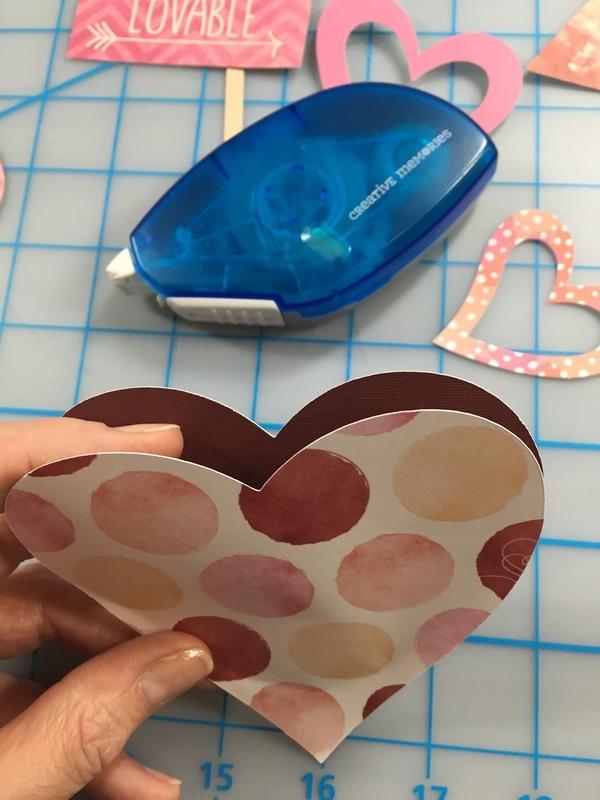 Four ways to cut out hearts! 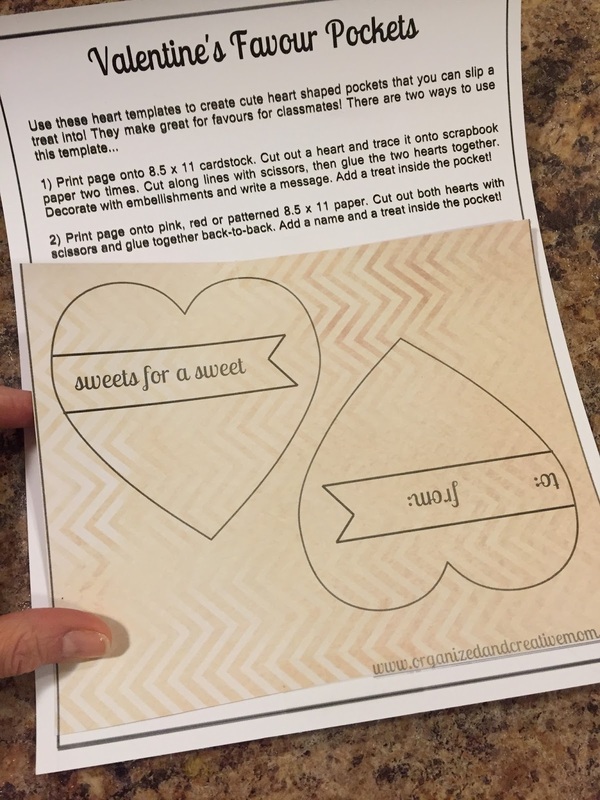 You could also print the handout onto colored cardstock, or even onto scrapbook paper...simply print out the sheet onto regular paper, cut out a smaller piece of patterned paper, tape it over the hearts and then run it through the printer again! So, go cut out a bunch of hearts, and let's make the pockets! 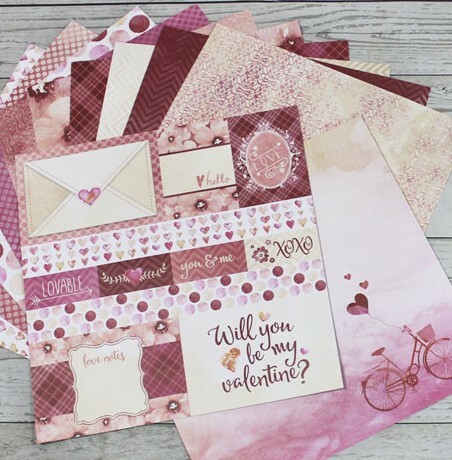 For each pocket you'll need two hearts cut from your choice of paper - you can match your hearts using the same paper for both sides, or mix it up with combination of patterned papers and solid colored cardstock. I cut a whole bunch from the Watercolor Love papers and our Shades of Red Paper Pack and paired them up before I adhered them together. Add a good amount of adhesive all along the sides of the heart from the point up to the part where the rounded top of the heart begins. Leave the top open to slip the treat or gift card into. Adhere together firmly to make your pocket! 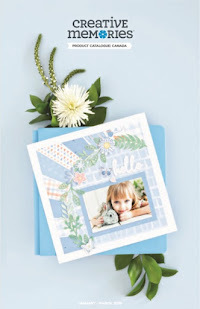 Decorate as you like - add small punched hearts, pre-made embellishments, gems, stickers or border strips cut into smaller pieces. 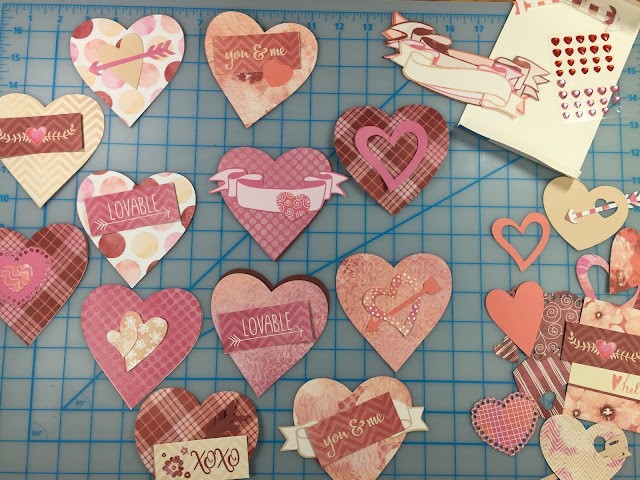 Some of the embellishments shown below are right out of the Watercolor Love pack, but some I cut out from the decorative piece of paper in the Paper pack. There are two of these sheets and each features 4 x 6 "cards", smaller cards and border strips that you can use for extra decoration! Add a sentiment or write "to:" and "from:" by hand using our Dual-Tip Pen. 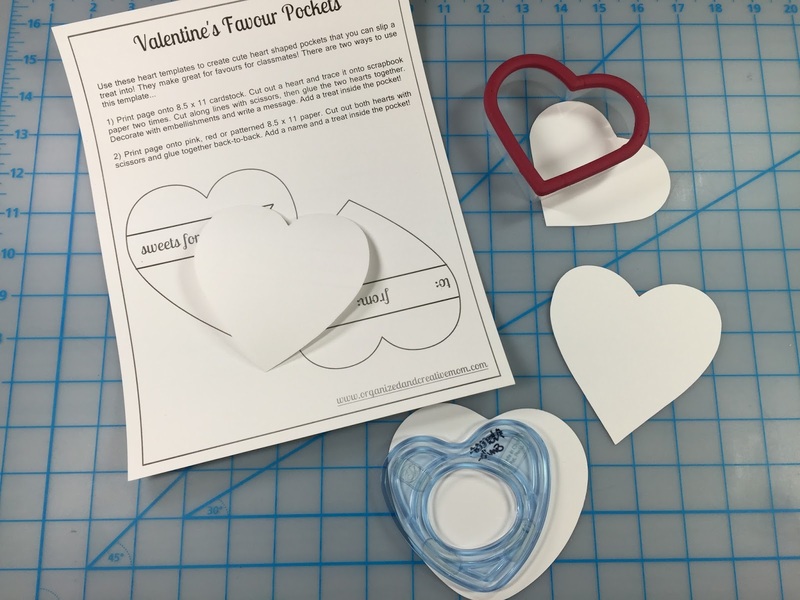 Let your kids do this part if they are making the Heart Pockets for their friends! Cut two pieces 8.5 x 5.5 each from the tan cardstock in the Shades of Neutral Paper Pack. Fold in half to make two card bases. Cut two pieces 4 x 5.25 each from the wine cardstock from the Shades of Red Paper Pack. Adhere onto the card base. Add leftover hearts and a couple of embellishments...I'm loving the bling! So simple and cute! 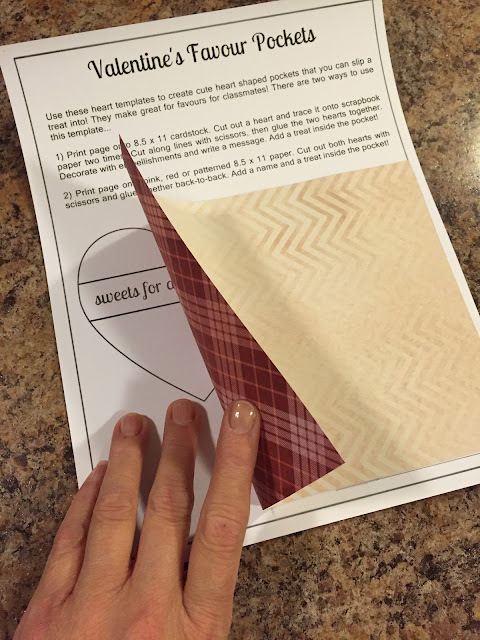 I hope you try making these easy Heart Pockets and/or Cards for your friends and family this year! If you do, I'd love to hear and see how they turned out! Leave a comment below, OR share them on my NEW Facebook page - https://www.facebook.com/organizedandcreativemom/! I'd love to see what you come up with and be able to share your ideas with others! 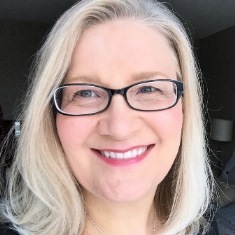 Stop #7 - My Blog...you are here! 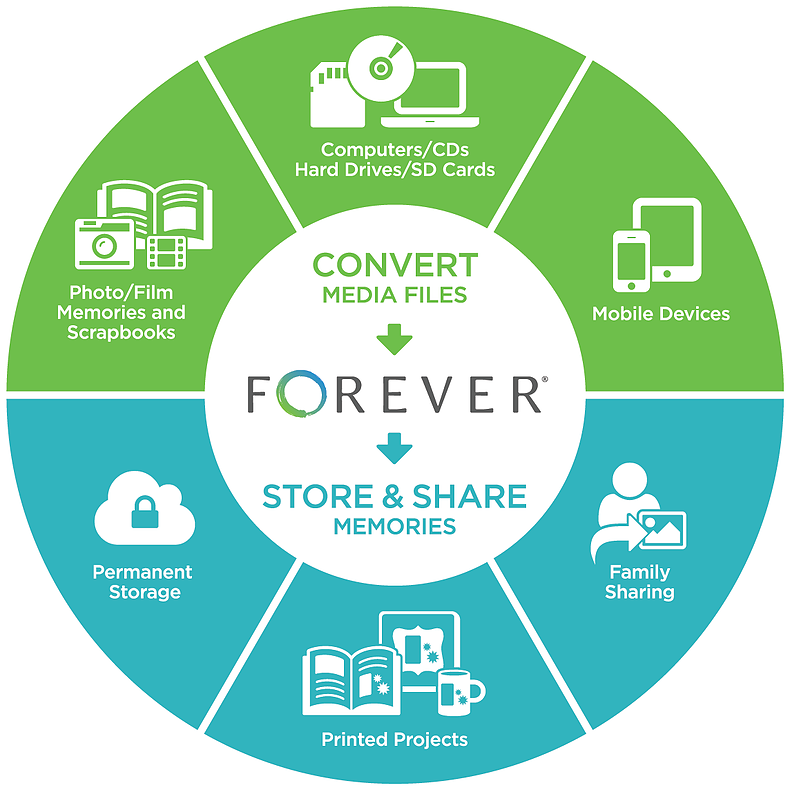 So, make sure to head on back to the Creative Memories Blog. Even if you don't leave a comment here, DON'T FORGET to leave a comment there about your favorite thing on the Blog Hop! 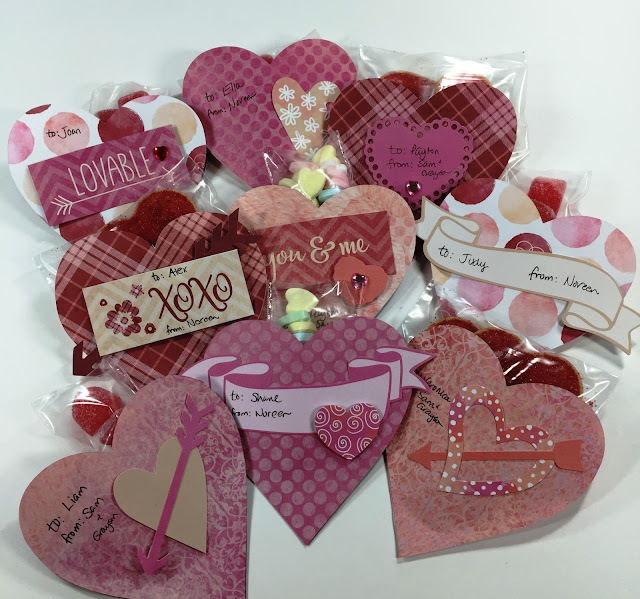 You'll have a chance to win a complete set of the Watercolor Love products! Good luck and thanks for stopping in! Love home made Valentines! Great idea! Love the heart pockets! What a great idea! - Velia W.
The heart pockets are such a great idea for little ones to give as gifts! I love it! I love the pocket valentine idea! Thanks! Love the post from all of you! Wonderful ideas, something I wouldn't have thought of. I am going to use a lot of them1 Thanks to all of you! Great idea for valentine pockets! 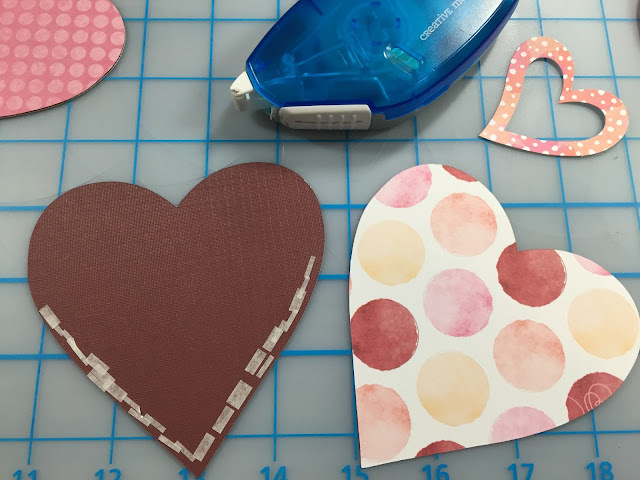 I am one of the lucky ones to have the heart pattern maker, but those without will appreciate your suggestions and links. Thanks! 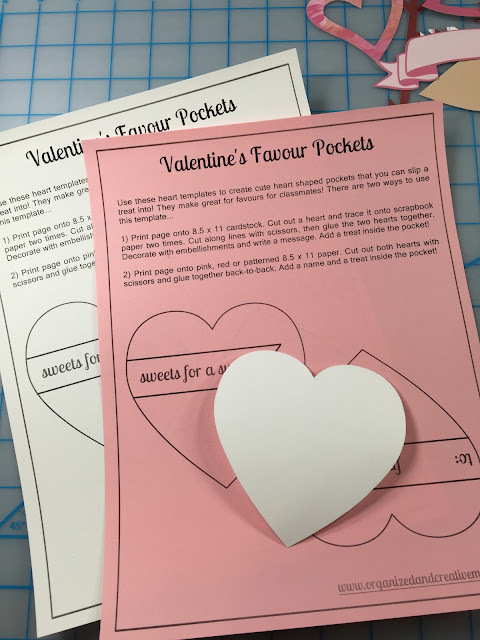 Great ideas for favor pockets especially with Valentine's Day fast approaching you can make them for people at work or for kids to bring to school. Love those pockets - those are some lucky Valentine recipients! Beautiful and clever, great ideas Noreen! These heart pockets are fantastic!!! Thank you for sharing the template. Can't wait to make these to fill with yummy treats. 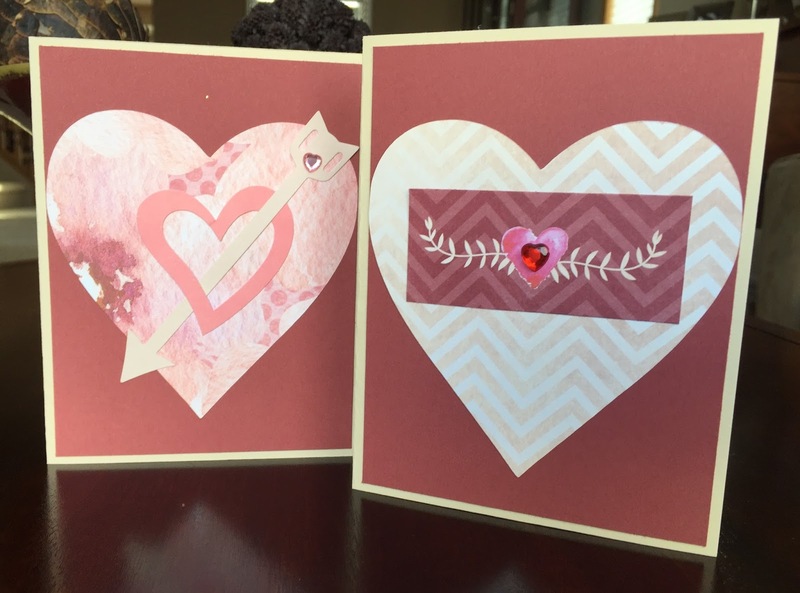 Love the heart pockets and the simple but fun cards. Pockets are adorable for a little gift etc. They look great as they are. Print a picture too would be fun to add. I am in love with pocket treats holder. :) Great job! The heart pockets are such a great idea! I love these ideas! Thanks for the template. The heart pockets are very cute, and I especially like the idea of using the "leftovers" for cards. You are right, you can never have too many cards. With the hearts they can also be used for wedding or anniversary cards... I often leave them "blank" until an occasion arises where I need a card, then I "personalize". Love the favor hearts! thanks for the great tutorial! Fairly easy and fast and so pretty. Would make a great mass-production item. Adorable Heart pocket with goodies..Great tutorial..These would be fun to make with my girls..
Now I know what I'm making this year for the valentines in my life! Love these sweet pockets! Beautiful papers!